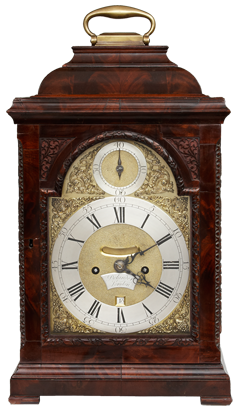 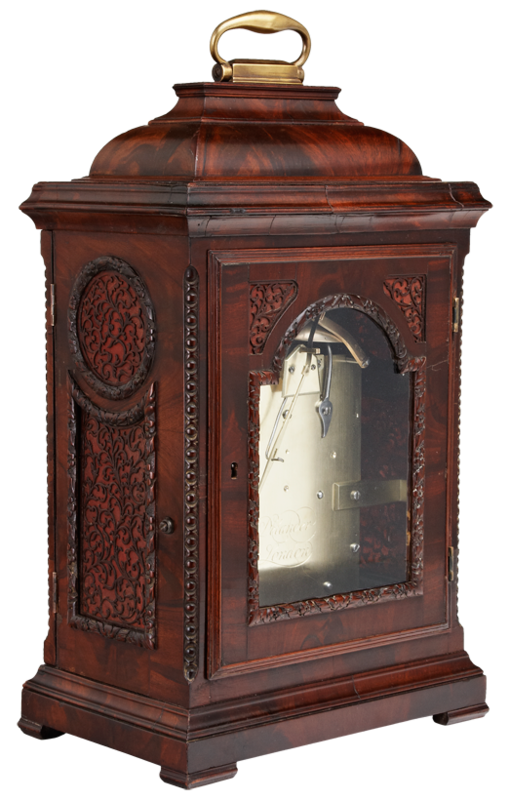 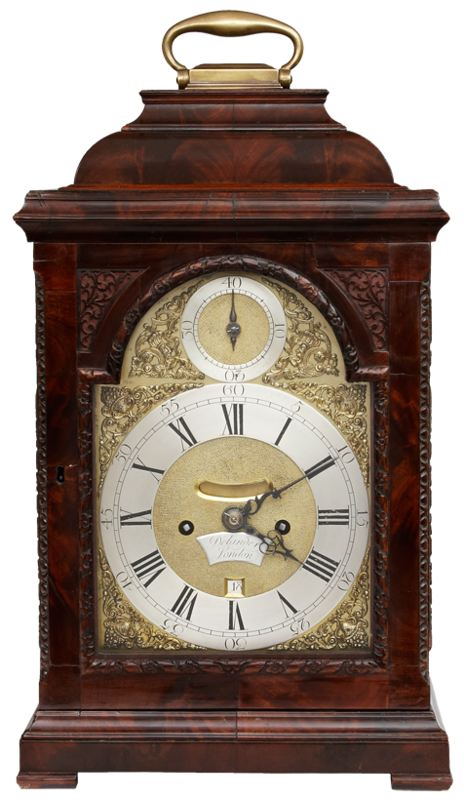 A particularly fine mid 18th century mahogany bracket clock by this fine maker who succeeded and carried on from his father Dan Delander who was apprenticed to Thomas Tompion. 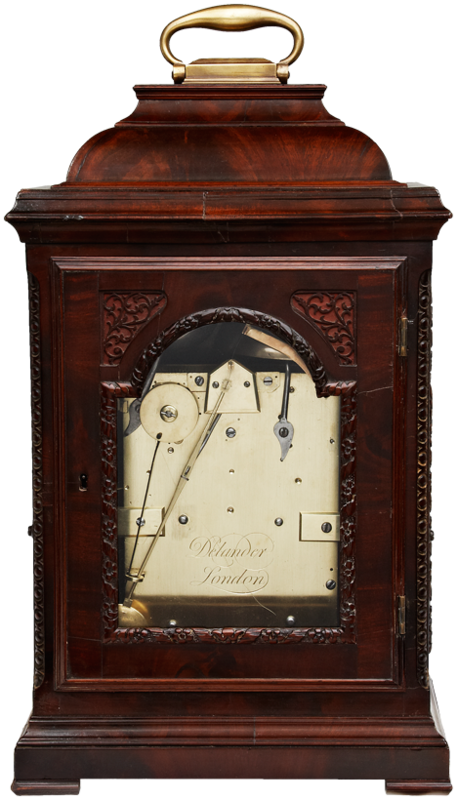 The striking and quarter repeating movement with rise/fall regulation, verge escapement and a plain backplate engraved, Delander, London. 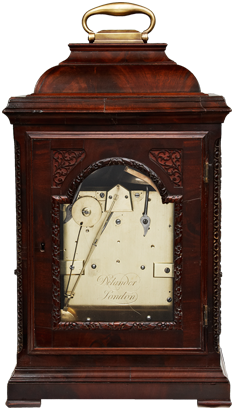 The arched dial with rise/fall subsidiary dial to the arch, fine gilt spandrels to the silvered chapter ring, the matted center with fine hands, apertures for false pendulum and calendar below a raised cartouche engraved, Delander, London. 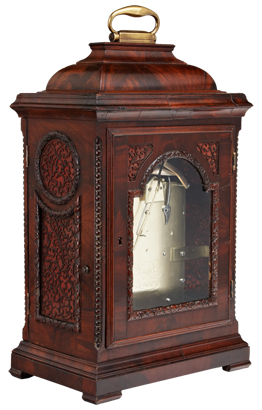 The beautiful case with the finest veneers and fretwork, the doors and side panels with finely carved mouldings.